An Ancient Solar System...: The Universe in 101 words: What's lightening like on Jupiter? The Universe in 101 words: What's lightening like on Jupiter? Above: Jupiter - still owning it. 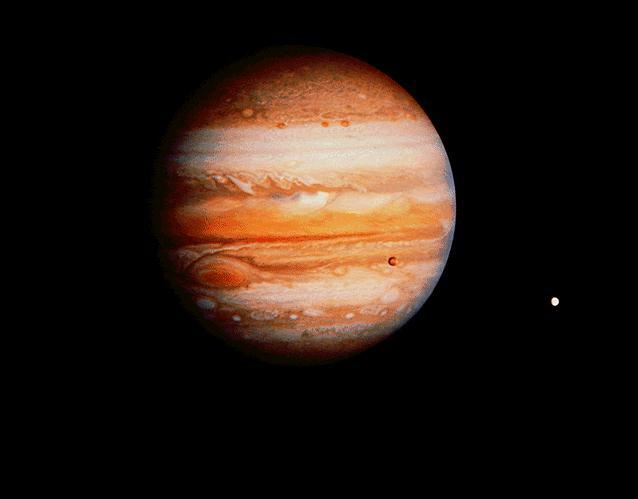 The biggest lightening storms are found on Jupiter, the biggest planet in our solar system. Jupiter's bolts are ten times more powerful than terrestrial bolts. 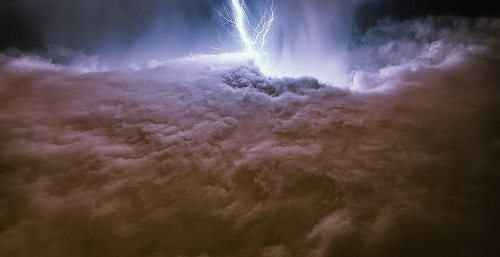 With no surface they simply strike within the clouds, like sheet lightening on Earth - so you'd seldom see the whole bolt, just a diffuse flash. They spring from Jupiter's water cloud layer, below its clouds of ammonia.